COLUMBUS—State Rep. Riordan McClain (R-Upper Sandusky) has announced that Karmyn Blizzard is the 87th House District winner of the 2018 Ohio House of Representatives Student Art Exhibition. Blizzard is in the eighth grade and is taught by Scott Mental at Bucyrus High School. The Ohio House of Representatives, Ohio Arts Council, and Ohio Art Education Association joined together for the third annual student exhibition, which showcases high school artwork from all 99 Ohio House districts. 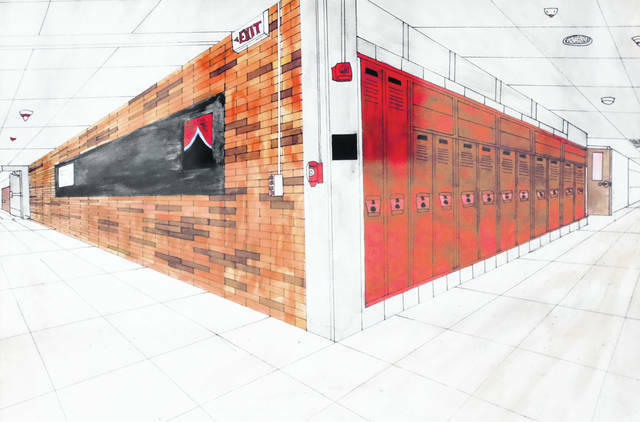 The exhibition recognizes the talents, creativity, and innovation of students who receive high quality arts education instruction as part of their academic experience in school and represents art by some of Ohio’s finest high school artists.